Thanks to ubiquitous plastic bottles of the stuff, Buxton is now known around the country for its mineral water, and the Peak District town still takes great pride in its waters. For those seeking a more authentic experience than getting it off the shelves at their local corner shop, it still comes straight out of the ground at St Ann's Well on the Crescent in the centre of town. The current well casing was installed around 1940 as a tribute to Councillor Emelie Dorothy Bounds, on a site where wells have stood since Roman times. 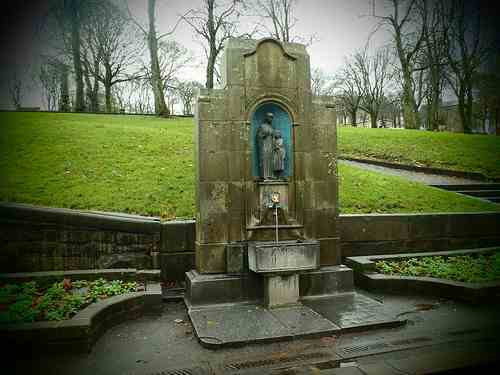 The well sees water gush from the mouth of a bronze lion's head, and features a statue of St Ann and child.